I did not know the fact "The Amber Room" is the debut novel of Steve Berry, after reading Cotton Malone series "The Templar Legacy" one of my friend Geri recommended this book. After many days of waiting found the paperback edition with missing front cover in the library rack. I started to read the book and I was anxiously waiting when will Cotton Malone appear. I was halfway through and when Rachel Cutler was saved by a man from a car hit and run situation, I thought here comes Cotton but I was disappointed when the character was revealed as Christian Knoll, the professional killer/acquisitor. I then searched the book details and came to know that this book is not a Cotton Malone series. The story beings as Karol Borya witnesses the death of German soldiers by Goring in a concentration camp. After the end of the Second World War Karol Borya works for Soviet commission in retrieving the stolen and lost art works from Nazi. Then the story continues to present day that Borya had become a US citizen and his daughter Rachel Cutler is a Judge, a divorcee and living with two children, her husband is a lawyer named Paul Cutler. The news of McKoy's dig in Harz mountains for Amber room reaches Borya which re-kindles the fire, he once again goes on the documents and articles he had saved earlier. Meanwhile one of the members of Retrievers of Lost Antiquities Fellner orders Christian Knoll to find Borya and Chapaev who have information regarding the Amber room. Knoll queries Borya, subsequently another member of the same organization Ernst Loring sends his best person Suzanne to grab Borya and Chapaev. Knoll kills Borya as he did not utters any word about Chapaev. The police closes the file as natural death. After the funeral Paul searches Borya's room and finds out the amber room articles and the copies of correspondence with Chapaev in bank vault. Borya's daughter without heeding to Paul's advice tries to meet Chapaev, while the two acquisitors Knoll and Suzanne behind her. Knoll befriends Rachel and Suzanne takes over Chapaev in gun point and ask to give false information to Rachel. She also kills Chapaev and tries to kill Rachel and Knoll in the mine explosion but fortunately both escape. Paul comes to save her ex wife, his actions makes Rachel reconsider about her divorce. The couples meet McKoy who now had reached a pit having 3 empty trucks and 5 dead bodies and his sponsors are blaming him for the failure. Rachel and Paul joins McKoy's team to help in finding out the Amber room. 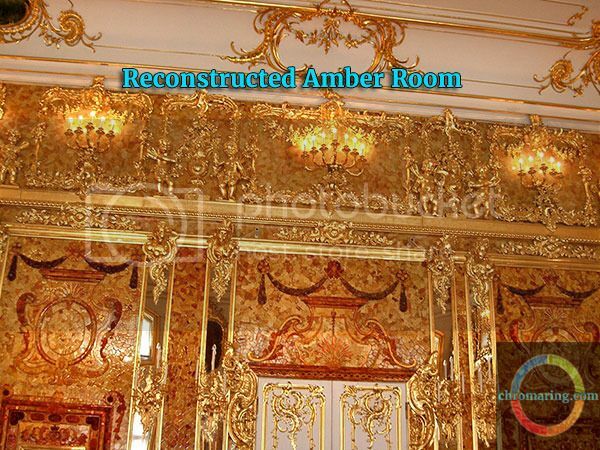 Where was the Amber room located? Did they find the amber room? what happened to the secret organization members Ernst Loring, Fellner and their side kicks Knoll and Suzanne forms the remaining part of the story. The novel is a page turner, fast paced and fantastic read. Out of the characters in this story three stands apart one is Rachel character Judge by profession but misjudges her life partner, her arrogance towards lawyers and her going through death of her father, finding solace with Paul makes us feel a down to earth next door neighbour girl. Another character Christian Knoll who abides his employer's wishes does the job perfectly, to me I feel Knoll has some humane left than Suzanne. In one instance he gives a chance for Rachel to live, but his rage and weakness to women ends his career abruptly. Ernst Loring's more like adoptive daughter Suzanne is clever than Knoll, her escape from the chase with Knoll and her calculated killings are examples for her character. A little bit of knowledge on Second world war, the amber room will help us to increase the enjoyability of the novel.